Winchcombe remains comparatively unspoilt. However, this is good walking country and right in the middle of Winchcombe is a free car park, so immediately it received Mick’s seal of approval. Besides Mick, today I was with Larry, and Peter. Larry, a product of the Mark Thatcher School of Navigation, was in charge of map reading, so I think we all knew there was a strong likelihood of additional/unnecessary mileage. We were not disappointed. Leaving the car park we walked along the narrow Cowl Lane to the main road through Winchcombe. Following Larry’s instructions we turned left and then right down Castle Street, and we were immediately going the wrong way. We realised this as we approached Sudeley Castle and had a choice of two paths. Neither of these was the Cotswold Way, which was the path we needed to take to reach Belas Knap (grid reference SP 021254). The Cotswold Way was to our right (south). So we took the driveway out of Sudeley Castle to get onto the correct path. It had been a pleasant “detour”. Brilnote. When we approached the main road through Winchcombe we should have gone right and then left down Vinyard Street. Soon we were crossing fields as we gradually ascended away from Winchcombe. 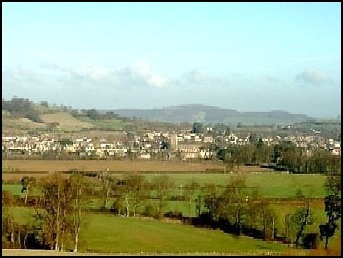 Although there was a cold wind, the sun was out and visibility was very good giving excellent views of Winchcombe below and the surrounding countryside. Break over it was time to head to our next “port of call”, the remains of a Roman Villa in Spoonley Wood (grid reference SP 045257). 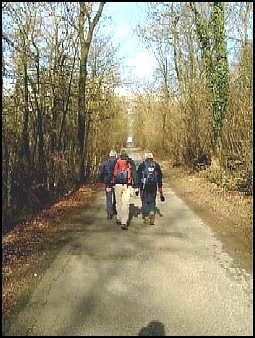 Rather than doubling back on the Cotswold Way to the road, Peter found a track going downhill through the woodland to the east of the “barrow”. This route, which was not marked on the map, brought us to the road to the south of Humblebee Cottage. 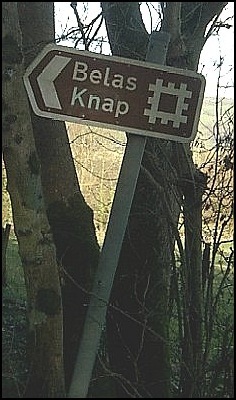 The intended route was to go south east down the road and turn off left at grid reference SP 028250. We would then skirt the north side of Willis’s Coppice to reach the Windrush Way (one of the two footpaths between Winchcombe and Bourton on the Water) at Waterhatch (grid reference SP 037256). But Larry, who insisted on navigating, was talking instead of map reading, lead us to an unknown farm. At this point we realised something was wrong and after Larry had used his GPS to establish the grid reference (SP 030248) and opened his map, we could see we were at Goldwell Farm. We realised what had happened; we had walked past the footpath Larry had intended to take us on. Still the error was soon rectified. By following the field tracks that went to the east of Willis’s Copse we got back onto the correct route and Waterhatch was soon reached. Now for the next navigational error. 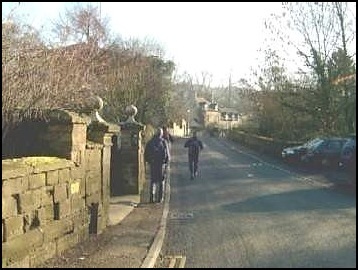 Larry’s intention was to follow the Windrush Way south east, going up the steep Cole’s Hill and take the first right-of-way on the left. Larry had done this route before and was confident of the directions so we all followed him. Now being the old man of the group I was struggling on the ascent and had gone a ¼ of a mile uphill past the aforementioned right of way when Larry and Peter, who were some distance in front of Mick and myself, started to come down the hill towards us. Yes all that uphill work was in vain. Please note I had tried to have a good look at the map during this ramble but Larry was determined I should not take over the navigation. I wonder if I could get him to go on a better map reading course? Having got back to the left turn (going north east), which was now on our right, Larry had no difficulty in getting us to the Spoonley Wood Roman Villa. 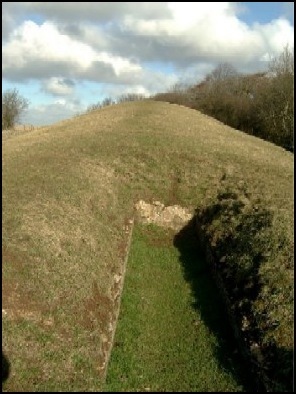 Larry had said that there was an eeriness about the site of the Roman Villa. I certainly found it a little strange and was reminded of the film location for the Blair Witch Project. It was very atmospheric, but it did not stop us having a break and a look at the mosaic Roman Floor covered by a corrugated tin roof and sheets of plastic to protect it. 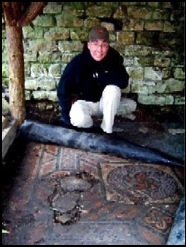 Here are details of these Roman remains. Brilnote. 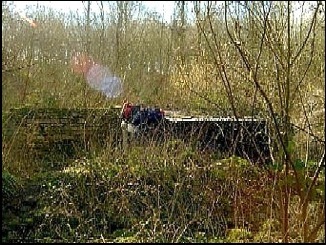 If I went to see these remains again I would go on the path north east from Waterhatch and then south east into Spooner Wood. This would easily have been less than ½ the distance of this part of Larry’s intended route and would have reduced the hill climbing significantly. 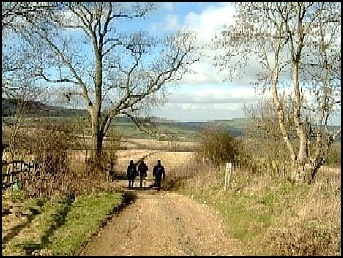 Now we had to get back on the Windrush Way and had the “pleasure” of retracing our steps out of the wood, past Spoonley Farm to reach the road at the top of the hill, the Salt Way. 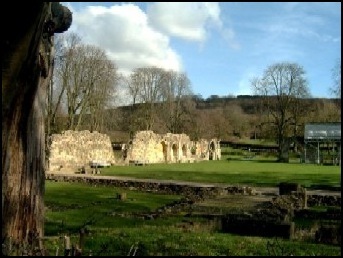 Here we left the Windrush Way and went north to the last ancient relic of the day, the Abbey at Hailes. And I must admit I was beginning to feel like an ancient relic thanks to all these hills etc. Although initially the gradient was against us the walking was a lot easier, traffic was minimal and route finding was easy. The only downside was my squeaky boots, or at least one of my boots. I have this pair of Berghaus boots. I’ve had them for a number of years and they are very comfortable. The only problem is on a hard surface, such as tarmac, one of them squeaks. In fact it has always squeaked. When road walking and I start slowing down Larry, Mick and Peter know they have to wait if they can no longer hear the squeak. This happens a lot. I stop to take photographs and they carry on and suddenly they will realise the squeak has gone and it’s time for them to slow down or wait for me. Hopefully I can then catch them up and they can get the full enjoyment of the squeak again. Larry reckons I should oil them and Mick thinks I’ve not paid for them. Me? I do find it embarrassing particularly when other people are about. Maybe I should whistle and try to hide the squeak. Maybe I should sue Berghaus for the embarrassment it has caused me over a number of years, then I could buy another pair of boots. But enough of the squeaky boots. Having gained all this height the views down into Winchcombe were splendid. 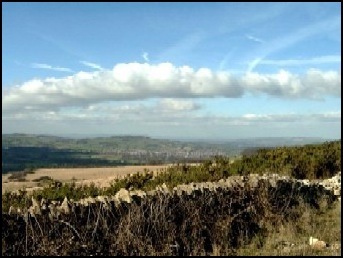 We could also see Bredon Hill and further in the distance the Malvern’s could be seen. The sun was still out, but it was cold and we all continued to wear hats and gloves, which we had worn since starting the walk. About a mile from Hailes we started going down hill and the change in temperature was quite perceptible, the lower levels feeling considerably warmer than the upland path we had been walking. Further down this ascent we took the Cotswold Way path on our right which took us to Hailes Abbey, the ruins of which we admired over the perimeter fence. 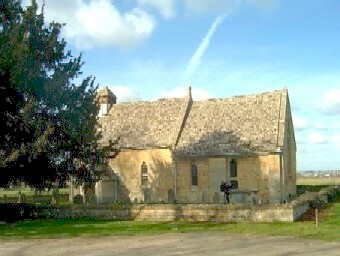 We then had a brief visit to the nearby church before taking the Cotswold Way back to Winchcombe. From here Mick took us swiftly to the Redesdale Arms in Moreton in Marsh, which is one of the few pubs/hotels in this area that we know that is not only open all day for beer but also does quite acceptable food during the afternoon when most other establishments have sent the cook/chef home. Larry reckons the total distance covered, excluding navigational diversions, was 13.2 miles. If you intend to do this walk you will need the OS Outdoor Leisure Map for the Cotswold No. 45.